A comprehensive list of replacement parts are available for all signs. Update your existing signs with LED lights. You will be surprised what a difference this can make. We hold an extensive range of parts and accessories for immediate despatch. Rubber protective seal for Driving School and Taxi Signs. 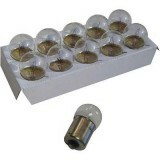 ..
1 pin bulbs - per box of 10 ..
2 pin bulbs - per box of 10 ..
Festoon bulb (single) Replacement bulbs for Windscreen signs ..
Festoon bulb (10 pack) Replacement bulbs for Windscreen Signs .. Replacement female plug for base of Roof Sign. ..